If you want to be able to play on custom PUBG servers in the future, you’ll have to pay for it in one way or another. The news of the paywall has ruffled feathers among the community ever since the beta announcement was made, but PlayerUnknown himself has denounced the criticism in an interview, arguing PUBG Corp need the money to be able to maintain the feature. Speaking in an interview before PUBG Global Invitational in Berlin, Brendan Greene confirmed that the servers, which allows players to experiment with game modes, will be locked in the future and follow a similar structure to that of ARMA 3. “This is something I really feel the need to address,” Greene says. “I was a modder for many years, and I didn’t expect ARMA to provide me with free servers to mod on, and it’s the same with this. We can’t provide people with free servers. There has to be a way to pay for servers through some sort of wall – either points, BP or money. 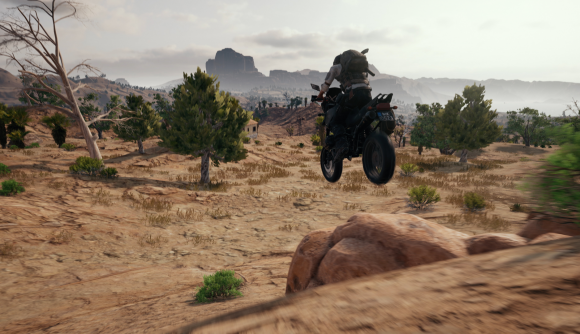 PUBG Corp is investing heavily into the custom mode feature, and we know the creative director has talked about making PUBG more than just a battle royale in the past. War Mode has been growing in popularity, with sections of the community calling for it to come back. By releasing the custom games model, PUBG Corp has handed the power of game modes over to the community, and Greene is looking forward to seeing what we’ll cook up. Despite not being a free to play game, it looks as if paid features are here to stay. Loot boxes will continue to be added to game – especially with the revenue share project for the esports scene – to help PUBG Corp continue to grow. While Greene recognised it wasn’t the most popular of decisions, he says “sales of a game can only last you so long” and the company will continue to monetize the game in ways that don’t affect the gameplay.